Someone wants to stop Becki Graw from claiming her inheritance. Police officer Joshua Rayne is just as determined to keep his beautiful neighbor safe. She may not be the tomboy Josh remembers, but she’s just as stubborn. 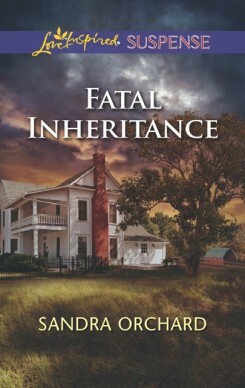 Becki is intent on keeping her grandparents’ remote farmhouse-no matter the danger. Becki’s feelings for her childhood crush may be rekindled, but she’s seen too much to risk opening her heart. As the threats against Becki escalate, the list of suspects grows longer. Josh must convince Becki to trust him with her heart-and her life-before a madman ends their chance at happiness…permanently.